Over 70 data sets and visualizations have been released by the City of Pasadena to support HackForPasadena. Has the hack taken advantage of the data to provide value back to or to address the needs of the Pasadena community? The City of Pasadena has a broad mix of private, not for profit, educational and public sector institutions and businesses serving just as varied a population. Has the hack implemented technology to reach and engage the varied constituents of the Pasadena community? This is the Start of Something Really, Really Special!!!! Quite simply, it rocked! It knocked socks off! It is the beginning of something big! It will create a movement bigger than itself! It ! The most effective and creative use of Esri's ArcGIS apps, APIs, maps, or services. 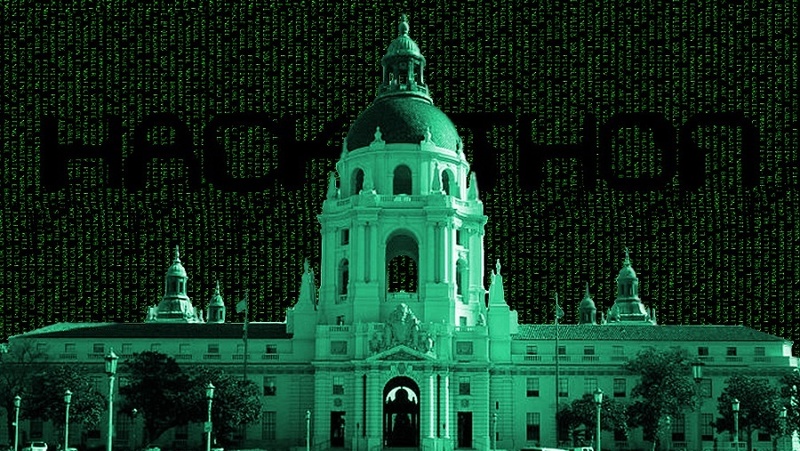 Two-days of open-sourced talks and hands-on problem solving, to re-imagine the way the web, applications, technology, and community participation will shape the future of the City of Pasadena. Help solve the city's biggest challenges like homelessness, transportation, crime, affordable housing and public safety, to beautification projects and business ideas that will make the city more livable. Anyone can pitch an idea or problem. From there, small groups form to brainstorm solutions and start tackling the issue with design and code. Publicly accessible data sets will be used to support the solutions. At the end of two days, each group will present a workable solution that improves the daily life for real people in our community. There will be a competitive element to the weekend with over $3,000 in cash prizes and other goodies available to top teams. Visit www.hackforpasadena.com for more information on the event, including rules, prizes, sponsorship and volunteer opportunities. ◾Is it intuitive? ◾Is it fun? ◾Is it easy to use and navigate? ◾Was it "designed" or "slapped together haphazard"? ◾Do workflows make sense? ◾Can my grandmother figure it out without paying a visit to the Apple Genius Bar? ◾Is it complete and fully formed? ◾Does it have merit? ◾Will it resonate with the intended audience? ◾Did it capture attention? ◾Was it compelling? ◾Do I want to see more? ◾Am I ready to fund it?